You followed The Passage. You faced The Twelve. 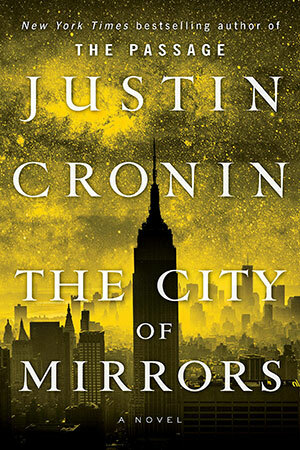 Now enter The City of Mirrors for the final reckoning. As the bestselling epic races to its breathtaking finale, the band of hardened survivors await the second coming of unspeakable darkness. The world we knew is gone. What world will rise in its place? The Twelve have been destroyed and the hundred-year reign of darkness that descended upon the world has ended. The survivors are stepping outside their walls, determined to build society anew—and daring to dream of a hopeful future. But far from them, in a dead metropolis, he waits: Zero. The First. Father of the Twelve. The anguish that shattered his human life haunts him, and the hatred spawned by his transformation burns bright. His fury will be quenched only when he destroys Amy—humanity’s only hope, the Girl from Nowhere who grew up to rise against him. One last time light and dark will clash, and at last Amy and her friends will know their fate.